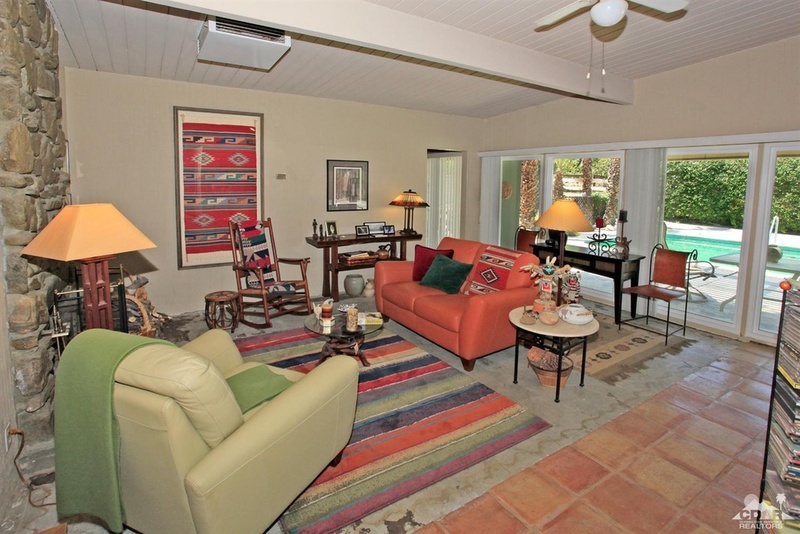 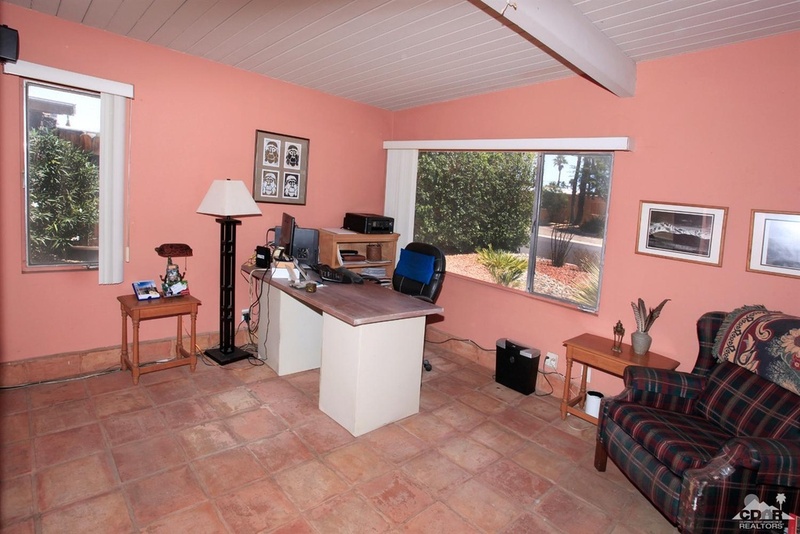 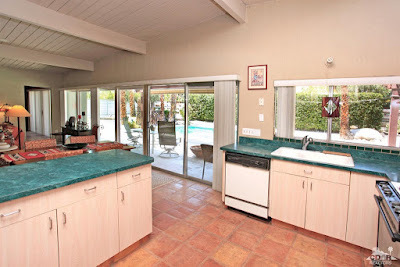 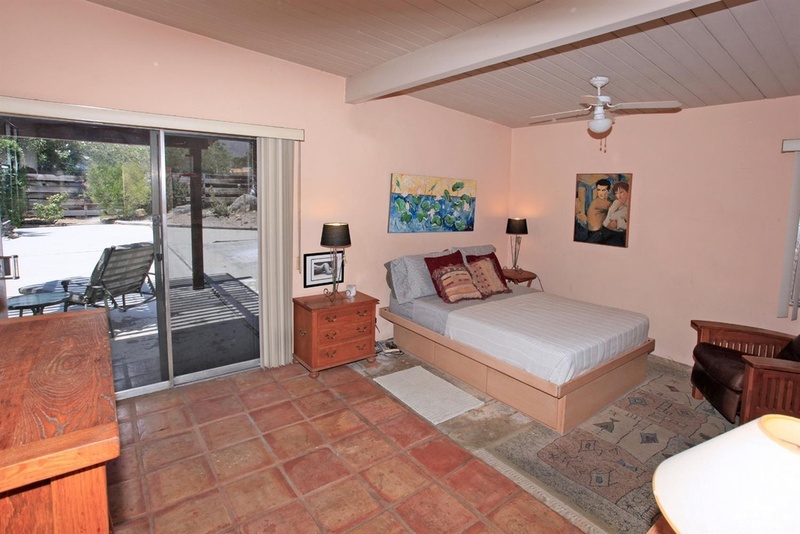 New to the market this week is this expanded Palmer & Krisel-designed home in Sunrise Park in Palm Springs, CA. 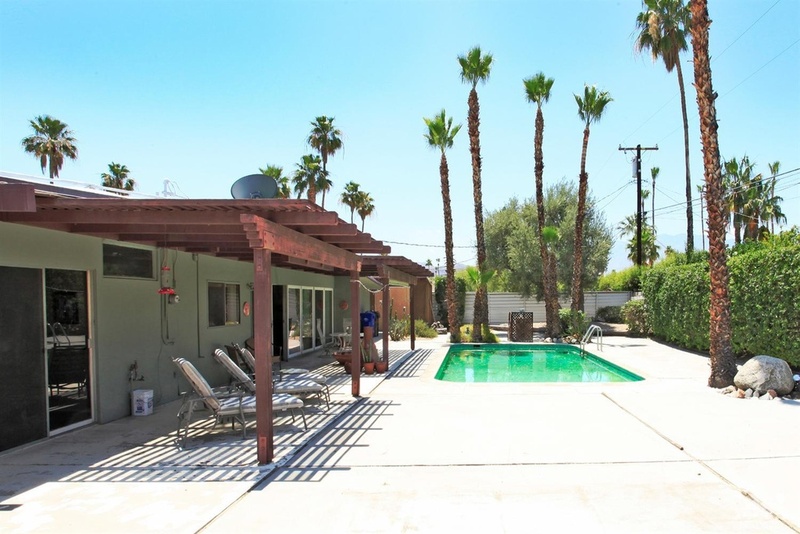 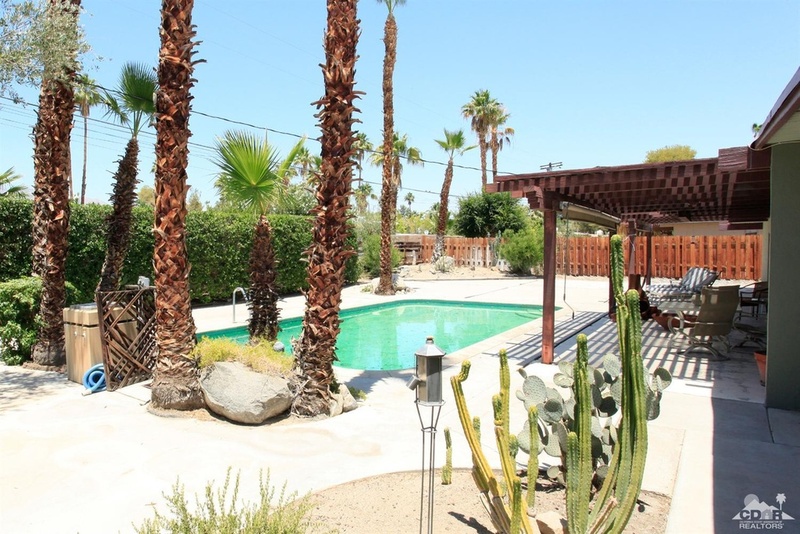 Built by the famed Alexander Construction Company in 1958, this home features three bedrooms and two bathrooms with a converted carport in 1,779 square feet and an in-ground pool out back all on a 10,000 square-foot lot with an asking price of $530,000. 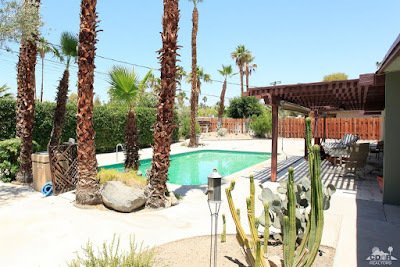 Out front, the east-facing home features a standard desert landscape, with pink gravel and imitation wash. A mature olive tree lends shade, and mature cacti surround various portions of the yard. 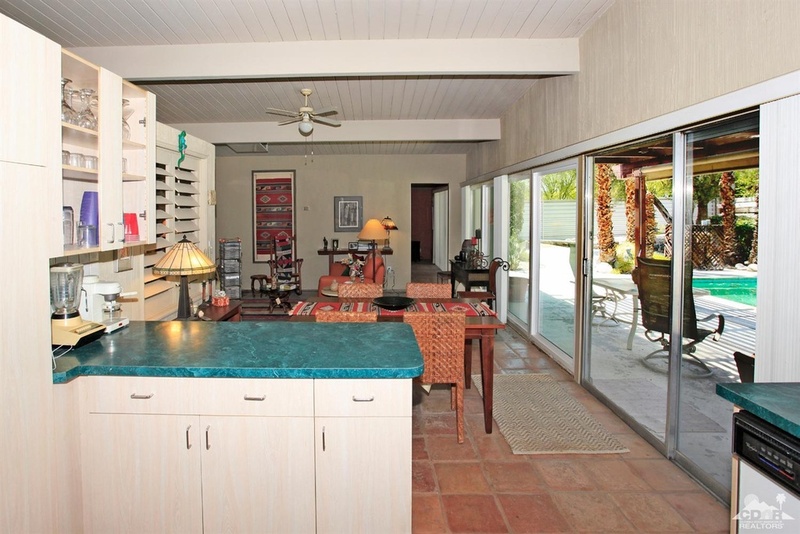 The original two-car carport has long been enclosed, adding square footage but eliminating coveted covered parking. Inside, the original open-beamed ceilings are still in place, while Saltillo tiles line the floors of the living areas. 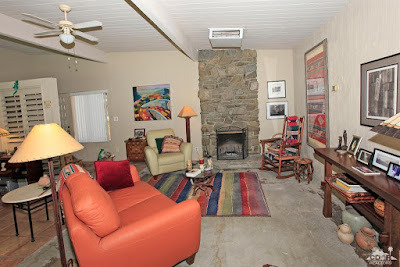 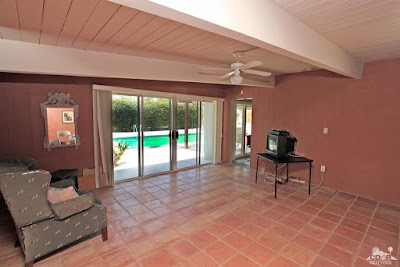 The living room is anchored by its original front-facing stone fireplace, while the rear facing wall provides large windows overlooking the backyard and pool area. 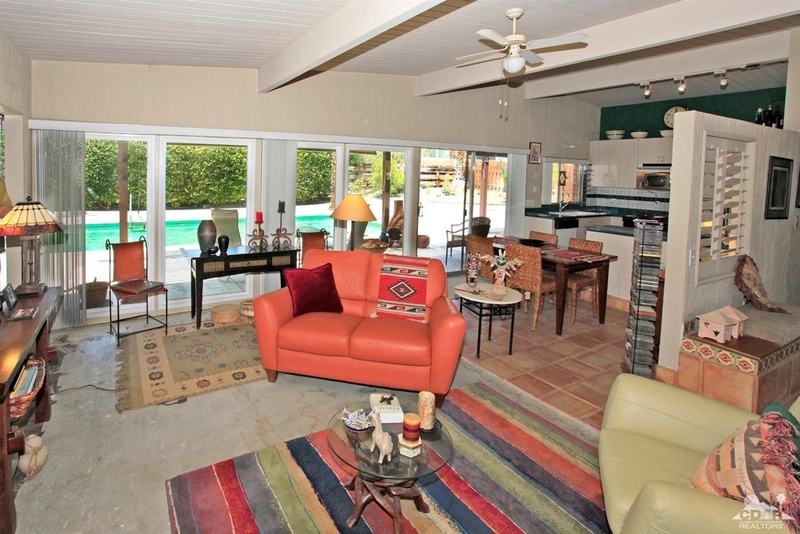 The converted carport sits off the living room, acting as a family/bonus room. Open beamed ceilings are carried through the addition, and rear-facing sliders access the pool area. The dining room sits adjacent to the living room opposite the entry, and is open to the kitchen. 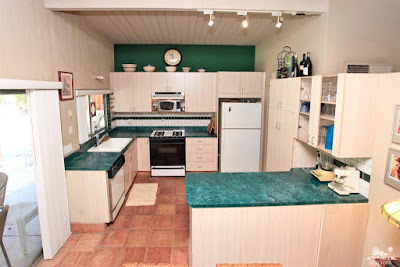 The kitchen appears to have been updated at some point in the 1980s, with flat-fronted cabinets, laminate counters and older white appliances and overlooks the backyard. 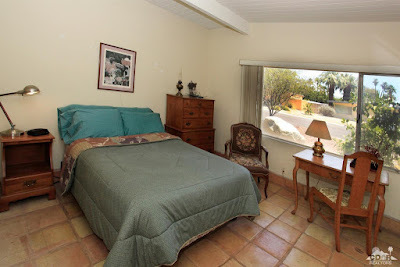 The two secondary bedrooms sit at the front of the home, overlooking the front yard. 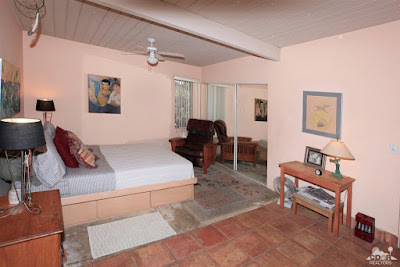 Both bedrooms are relatively small in size, but provide wide rectangular windows letting in lots of natural light. 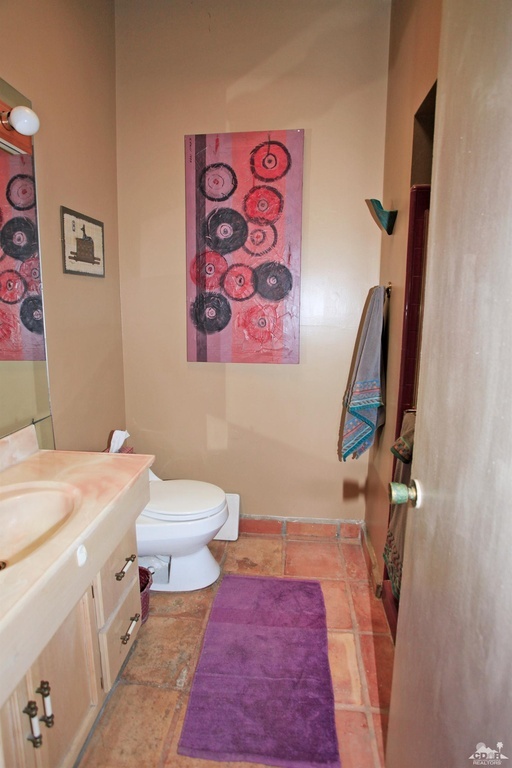 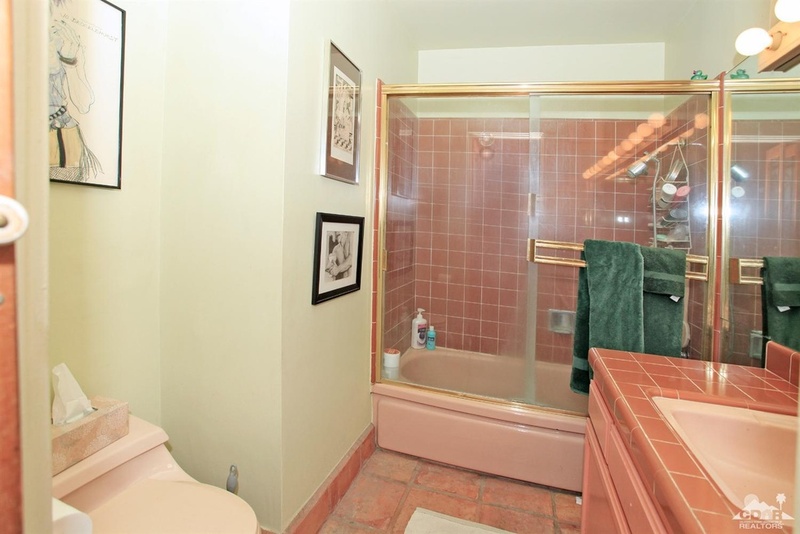 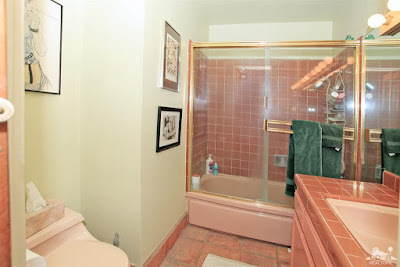 The guest bathroom contains its original tub and vanity, while the fixtures in the master bathroom have all been updated. The master bedrooms sits at the rear corner of the home, with a sliding glass door leading out to the pool and a second corner-side window allowing in additional light. 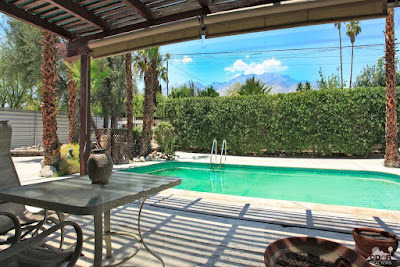 The backyard is anchored by the original 15’ x 30’ Alexander swimming pool, looking a little green in these pictures. 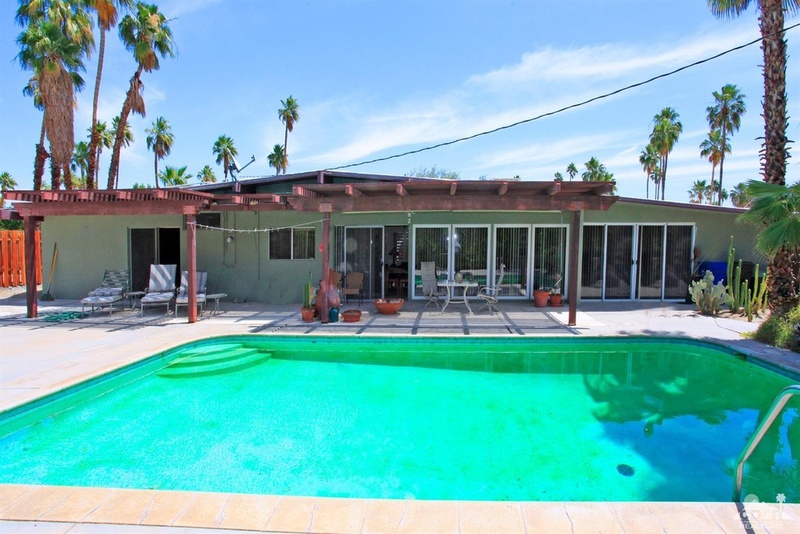 A pergola is attached to the rear of the home, providing some relief to the western exposures. 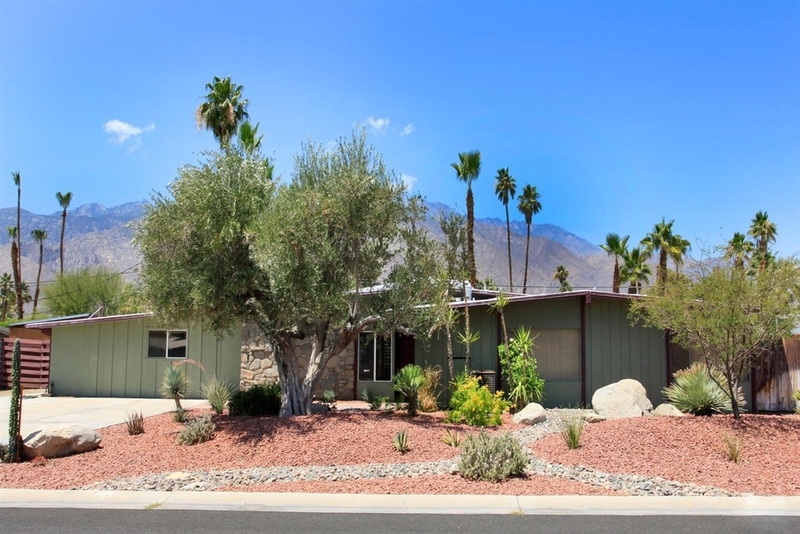 Distant mountain views are provided over privacy hedges surrounding the yard, and ample patio space allows for plenty of room for entertaining. This home offers a great opportunity to enjoy as-is, renovate, or restore back to original. Either way, it’s a great opportunity in a great community.